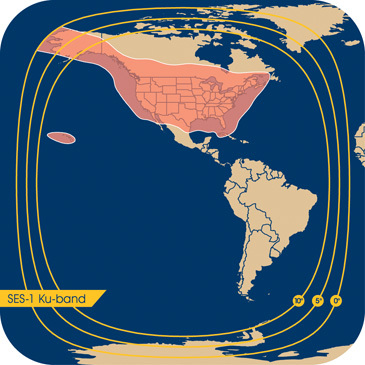 Home2US operates its direct-to-home (DTH) transmission in North America on SES Americom's SES 1 and AMC-2 satellites, whose orbital location at 101º W.L. is ideally suited for KU-band coverage of North America. This orbital location in the middle of the arc provides the best possible elevation angle from both coasts of the United States.